It is always best to properly plan when moving house. Moving house planning can make your house move relatively stress free with the knowledge that everything has been properly taken care of. Start a central file for your move documents. 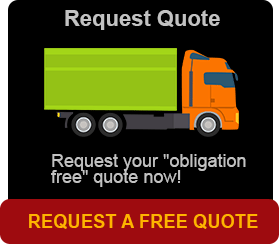 Book Brisbane Removals and Storage on 1300 769 467 … Investigate YOUR Insurance options – talk to us on this. Check present furniture with what you are taking and then arrange to sell items that won’t be needed at your new residence (garage sale, ebay, gumtree, Buy Sell Swap on Facebook) are all good. Use an inventory list to check what you will pack and what you will sell. 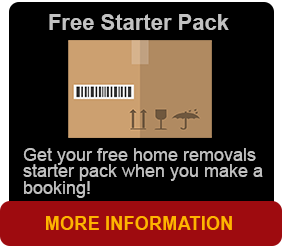 Plan your packing- discuss your removal requirements with Us. Organise the delivery of boxes from us so you can pack yourself if you choose. Organise proper equipment such as tape, labels, marking pens etc or you can purchase from us. Always use removalist cartons as they are stronger. Hold a garage sale or speak to your removalists about getting rid of unwanted items, to dump or to sell. Advertise on Buy, sell or swap on Facebook in your local area. Use up all frozen foods in the freezer, unless you are moving locally. Dispose of garden chemicals, paints, fuel and other flammable items as suggested by the supplier. Have BBQ cylinders checked by a certified Gas Cylinder Test Station. Make arrangements to have pets looked after for at least 2 days before you move. If you are moving interstate, book a Pet Transporter through Brisbane removals and storage. Make sure your pets have all been vaccinated before you move. Arrange school, day care etc, transfers. Start packing this week if you are doing it yourself. Arrange with the Post Office to have all your mail redirected. Cancel newspapers and any other deliveries being made to your present home. Reconfirm travel arrangements for the vehicles and care for your pets. Your pets may becoming anxious when they see all the movement. Ensure they are enclosed at all times so they don’t disappear and cause unnecessary grief. Make a list of things to do on Moving Day. This is most important. If you have a waterbed, make arrangements to have the bed prepared as per the manufacturer’s specifications. This may mean having a contractor come the day before you leave. Your removalist may also be able to assist. If you haven’t drained the fuel from your lawnmower, or emptied other containers, do so now. Return items that you have borrowed including library books and DVD’s. Dispose of any articles that did not sell at the garage sale or on ebay. If needed, make special arrangements for parking or access for the removalist, to your home. Label every carton by room identification. Keep a separate list of the contents for your own reference. Check the list of essential contacts and begin to work through these to change your address. If any furniture needs to be dismantled before moving, begin to do this week. Put all bolts and screws and other small attachments that make up this furniture into a small self sealing bag and tape to the base of the item, or, label clearly and place in one box that will contain all items of this kind. Return library books and videos/DVD’s and items borrowed from friends. Arrange the necessary finances for payments on moving day. If travelling any distance by car, check oil, water, tyres etc. Pack luggage or those things you will need immediately after moving. Do laundry, fold, and pack. If you are keeping blinds or curtains, take these down now and pack them. Make sure all items are on your inventory, and each box is numbered and matches your inventory. Separate any items you have packed and will be taking with you, from those to be packed, and place in an area from which they will not be collected, such as your car if you are driving. This includes all jewellery, handbags, cameras, documents, etc. Defrost and clean out your fridge and freezer. Wiping the inside surface with vanilla essence will prevent any build up of mildew or nasty smells. Check with the manufacturer whether the fridge motor needs to be specially secured. Dispose of food items that are open and will go off if not unpacked within 2 days. Clean out your medicine cabinet and properly dispose of unwanted drugs. If you have a water bed, have this prepared for packing. Purchase a street directory of the city or town your are moving to, essential if you are moving to one of the major cities or have a GPS available on the day. When we arrive on moving day, make sure they know where they can park their vehicles and trucks. If you can’t be there, you will need to appoint an agent to act on your behalf. Walk around the house with us to show them exactly what you want done. Show what you will want as soon as you arrive at the new house. They can pack these items last. If you still have pets at home, make sure they are confined and avoid children being in the road while packing & carrying out items. Place all items that are being transported by yourself securely in your car boot out of sight, locking all doors and keeping your keys in your pocket. If moving interstate or your goods are going to storage, check and then sign the inventory. Turn off the power to the house, tighten all taps, make sure the gas and all electrical switches are off.